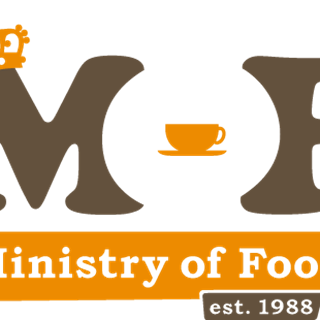 Ministry of Food Bar & Kitchen is positioned on The Terrace and is a bar and eatery style dining attraction like no other. The ambience at the Bar & Kitchen means that it's the perfect venue to stop and have a cup of coffee with colleagues, after-work drinks with the boss, or to catch up with friends over a beautiful meal. Great service ans tasty food, but the amount of steak served with the beef salad was too minimal. A great place to meet, we didnt have to shout to be heard across the table. Friendly staff, nice food but very slow service. The pizza was very nice and looking forward to eating the other half tonight for dinner. Was very excited to visit MoF as haven't been for awhile, when we arrived where told a lot of menu items were not available or had changed. They had run out of rose wine which 2 of the group tried to order. Food came out and was average. When we tried to split the bill we we told we can pay for what we had but not by dollar amount which was frustrating. Would go back to give it another try, could have been that it was right before the Christmas break and things had run out. The table was very small for a group of 8. Also, the serving sizes have decreased since I was last there - ordered the same dish I had last time (kedgeree) and it was close to half the size of the portion I've had previously. People who ordered the pasta and salad had the same issue. My first time at MoF and I will be back. Excellent customer service and good food. I like the atmosphere here for an after work drink and it accommodates large groups really well. Great burger and lovely friendly staff! Great team of people and lovely food. Many thanks! We were warmly greeted with lovely staff,  food was delicious and nicely presented. Coffee was mostly good , my flat white almost too flat and full so half of it was on saucer by arrival. tasted ok though. All in all a really lovely experience and I would def come back again! Lovely, thank you - the weather helped, but also the friendly, helpful staff, tasty food and good Peckham cider. why is this section compulsory? 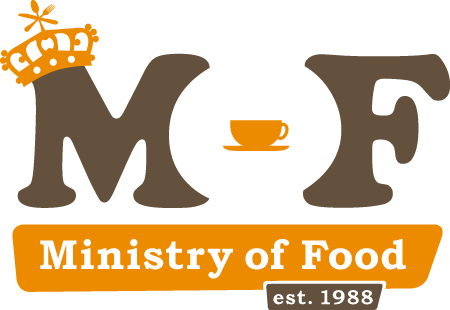 I have visited Ministry of Food bar & restaurant a few times now. Each time the food is delicious and the staff are friendly and professional. Lovely fresh food and efficient and helpful service. It's a step up from the usual cafe fare on the Terrace but isn't stuffy or overpriced. We were in for the WOAP burger which was fabulous, great flavour combo, plus those handmade chips, good effort ! Look fwd to going back to try the regular menu. Lovely WOAP burger. Took a while to arrive but worth the wait. Great attentive and friendly service. Delicious food. Quick service with plenty of time to get in and out in under an hour without feeling rushed.